Last week answered the question ‘How often should I share on LinkedIn‘. If you missed that post, read it here. Today I want to show you that there are many different ways to engage on LinkedIn in order to stay top of mind in your network. And most of them can be done in 10 minutes per day! If you come across a great article in your news feed (home page) that one of your contacts shared with you, share it with your network and give the author credit by tagging him/her. You do that by entering the first letters of the person’s name and then selecting them in the drop down menu. Not only are you sharing great content with your network, you’re also exposing yourself to the tagged contact’s network! >> time needed: 30 seconds! As you scroll through your news feed, make a few comments on statements or articles you find interesting. A comment is hundred times better than a ‘like’, because your picture will feature next to your comment and if you say something smart (not like me in the comment below!) people in your contact’s network, might be curious to have a look at your profile. And of course you’re also building or maintaining a relationship with the person who shared the article. 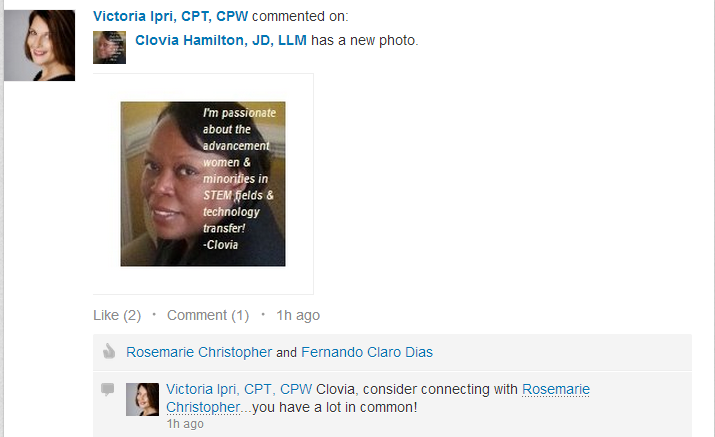 Engagement in LinkedIn Groups is another great way to increase visibility for your profile and build new relationships. Rather than randomly scrolling through your groups, I recommend you subscribe to weekly (not daily) group digest e-mails for 5 or 6 groups you want to engage with, and then just scroll through these e-mails once per week and decide which discussions you want to participate in. Compliments are a great way to get back in touch or just engage with your contacts. If you don’t want to comment publicly (because your whole network will see your comment) send the contact a private message that you like his/her new profile picture). 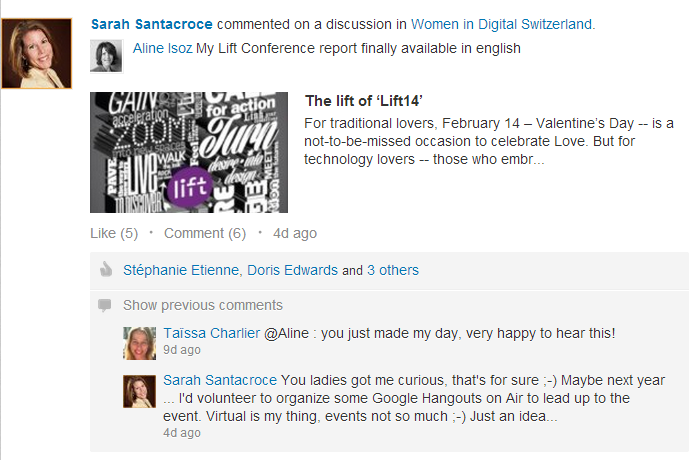 Every now and then you can also share your own content with your LinkedIn Groups by starting a discussion. But don’t just drop a link and leave again. Engage a discussion, ask a question. The manager of the group wants his community to interact within the group, so if you just ‘spam’ the group with your links, you run the risk of getting blocked. There’s also much more impact if you actually get to create a discussion around the topic of your post. LinkedIn will notify you when your contacts changed jobs. BUT sometimes it really wasn’t a job change, but just a minor change in the title or description that triggered that notification. So be careful who you congratulate. 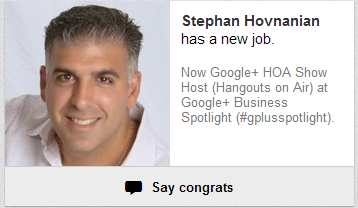 Have a look at their profile and see if it’s a real change or just LinkedIn being ‘notification happy’. Every time you publish a blog post, you should of course share it with your network. Don’t forget to include a ‘teaser’ text. 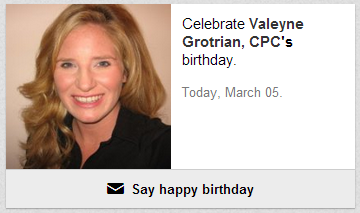 LinkedIn will send you a reminder when your connections celebrate their birthday. It’s another great way to stay in touch and send them a friendly birthday message. >> time needed: a few seconds! Even though you might find endorsements superficial and gimmicky, they are here to stay so why not learn how to use them?One way is to publicly thank people for endorsements you get. By showing your appreciation to the endorser you engage with him/her and work on your mutual relationship. Now it’s your turn! 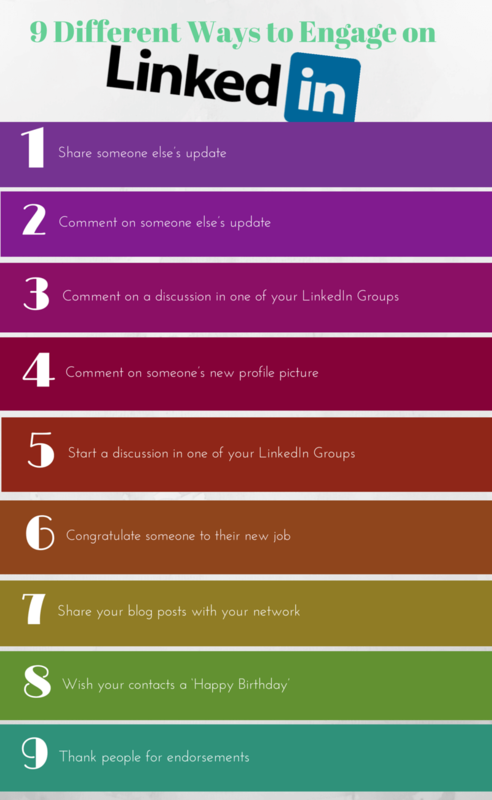 Have you used some of these ways to engage with your audience on LinkedIn? And which other ways do you use? Please share in the comments below. Good guide, Sarah – thank you. I’ve always thanked people for their endorsements (well, at least the ones that are for skills I actually have! ), but have previously done so via a message on LinkedIn; hadn’t thought of posting it instead! 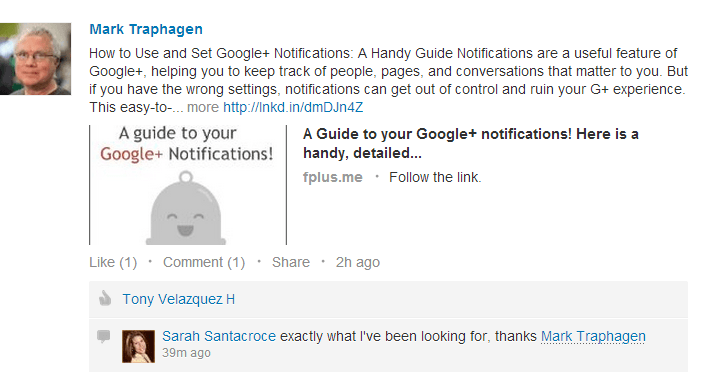 This is so helpful, thank you Sarah! If you want to make minor updates to your current LinkedIn company details (as a sole trader etc) then you can, in settings, turn off the feature to notify contacts of your changes while you fiddle around getting things just right! This avoids false ‘new job’ updates going out. When you’re ready to go live, just turn the notifications feature back on (and post an update if relevant). thanks for sharing this tip, Susannah! But careful: LinkedIn confirmed to me that it does take 24 hours (!) to register the change in settings. So take off your broadcast activity today, and make the changes tomorrow. If you make changes immediately after you risk of still triggering false alerts. Has happened to me ! Hi, Sarah. Love ya. But I’m going to take an un-popular position. I know a lot of people who do most (if not all) of these. And they’re miserable. I think I’ve discovered why. In a nutshell, it’s because hope is not a strategy. Doing these things and hoping they connect to an eventual outcome is a weak position. – What ACTION do I want someone take in RE-ACTION? – Why? Why do I want this *AND* why would someone do it? – Is it useful, urgent and unique enough to earn the action? – What PROCESS is the action connected to? What happens after the action is performed that takes the buyer on a guided journey toward what they want/need. – At what point does the journey become synchronous—involve a human getting involved? Thanks for considering my POV. I totally LOVE simplicity. But in this case simplicity may not be enough. great video Michael and I did mention tagging in tip 1 as well and use it all the time. Thanks for sharing this with my readers !